HelmetCam video of the Senior B Men having their fun bouncing around Pilarcitos #1. 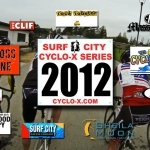 Hans, great to see some 06/07 cx action– thanks and keep up the good work!! i see morgan in there!